Rebounder, aka PG Rebounder, is a 2½-year-old red fawn male, born November 24, 1999. 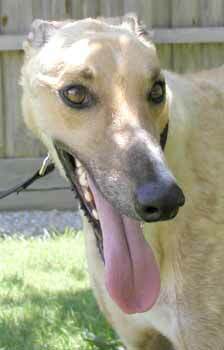 Rebounder raced in West Virginia and Florida, and his racing career was cut short due to a severe cut on his left leg. It is all healed now, and the only evidence of the injury is a large scar. He could be called fuzzy right now because of his coat, which will be slicking out over the next weeks. 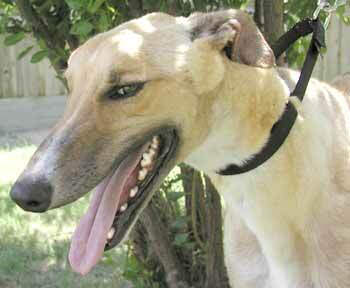 Rebounder is one handsome boy with a laid-back personality.